While most of the time, workers’ compensation claims deal with significant injury on the job, it can also cover issues involving wrongful death. If your loved one has died as a result of injuries sustained on the job, you may be entitled to compensation. However, when workers’ compensation comes into play, such a lawsuit ceases to be an ordinary wrongful death suit and acquires additional complexity. 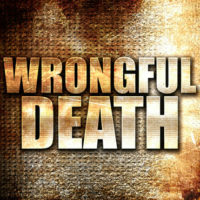 In a standard wrongful death case, the family of the deceased person would bring an action via the personal representative of their estate, either as a standard suit, or as what is referred to as a survival action, depending on the nature of the situation in which the decedent was killed. Florida law allows an action to be filed on behalf of the family for costs like lost wages, support and services, and also permits damages to be recovered by specific family members – for example, a surviving spouse may possibly recover for loss of companionship and/or pain and suffering, or minor children of the deceased person may be able to recover for loss of parental guidance. If someone is killed while on the job, the situation becomes somewhat more complex, because Florida law holds that except for exceedingly rare circumstances, workers’ compensation law provides the exclusive remedy for the family, at least in regard to collecting compensation from the deceased’s employer. Most employer liability insurance policies in the state will specifically exclude any claim that is compensable under workers’ compensation law, and while in theory this may sound inconsequential, it is not, because very often, workers’ compensation does not provide enough to make ends meet after a loss. A possible solution, if the facts merit it, is to bring suit against a third party. This may be done in addition to going through the workers’ compensation process if a third party can be said to have played a significant role in your loved one’s passing – for example, if someone dies in an accident with a rented construction machine, the company which owns the machine might be held liable if the machine were found to be defective. However, this remedy is not always available – if there is no third party involved in the accident to a reasonable degree, you may have no other options except to manage with workers’ compensation as your only remedy. Losing a loved one is a horrific ordeal at the best of times; having the specter of someone else’s negligence in the proverbial mix can make it even worse. If you need help understanding what your options are, it is best to consult a knowledgeable attorney. The skilled Orlando workers’ compensation attorneys at the Hornsby Law Group can help you decide what is the best path for you to take. Contact us today to set up an initial appointment.